I was pretty impressed with Ljubljana’s food scene. You won’t be hard pressed to finding something that will suit most tastes here, including a good selection of vegan and organic food. Slovenia is surrounded by Austria, Italy, Hungary and Croatia so the food here is very much a fusion of all of the above. There were so many good places that I had to do a separate post on my favourites. So, let’s get started! 3. Slovenska Hisa is right on the river bank, with lots of outdoor seating. The breakfast menu is healthy, affordable and the scrambled eggs and goats cheese were delicious. 4. Le Petit Café is (no surprise!) a French restaurant with an extensive brunch menu. I tried the Eggs Florentine with a side of roasted vegetables – very cheesy but so good! 5. Ek Bistro is a modern, European restaurant with a varied menu. I tried the Shakshuka eggs which were very filling. The French toast was also a delight! 6. Abi Falafel is a casual, take-away style Lebanese restaurant. It’s a good spot for lunch and very affordable. The portions were big and the food was on point. 7. Most is a Mediterranean style restaurant and a good spot for dinner. I didn’t have the fish there but had serious food envy when I saw others order it… 8. TaBar had really nice tapas and is a good option if you want a few small dishes rather than a main – try the octopus and silk tofu! 9. Organic Garden is a vegan joint with has an unusual and innovative take on burgers. It’s quite a small, casual place with high chairs so not somewhere you can sit for hours but good for a quick bite. 10. Cacao is Ljubljana’s most popular ice-cream and dessert parlour. Not much more to say about ice-cream! 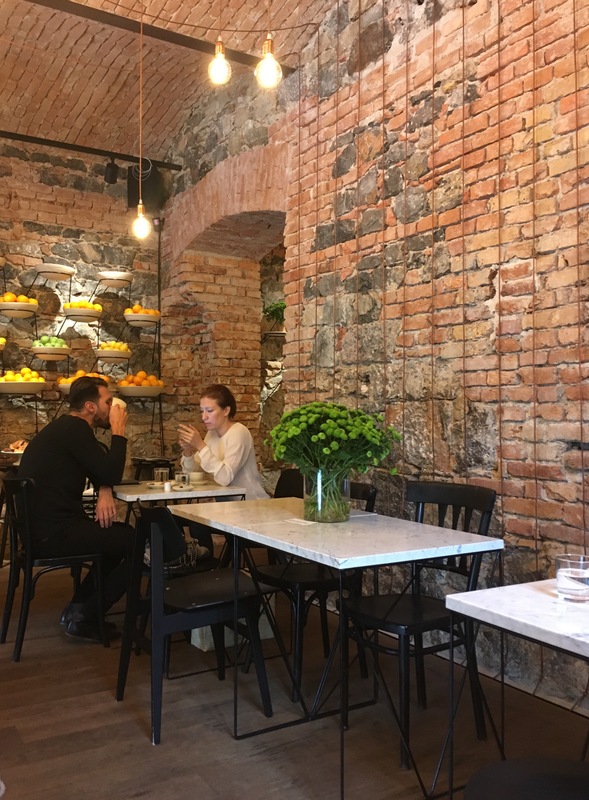 😛 Well, there you have it folks – my top 10 food places in Ljubljana. If you’re a real foodie, you should also look in to food tours here – they are quite popular and seem like a good way to try out different kinds of Slovenian food.